I smiled as I typed that. It was the first poem I ever memorized and recited. I fell in love with its cadence and simple language. I always felt it was substantial – That each line was poignant, and each stanza a choice. And somehow I knew I’d need it, to make my choices, to examine the roads that appeared, and to remember the outcome. Every day is a fork in the road. Every day meets us with choices – what to do and what not to do? Only, many of us rush through, never taking the moment to ponder the outcome. We don’t see the choice. We see the obligation, and life becomes a chore rather than an adventure. It becomes a rat race instead of a walk. And we lose our joy. Are you struggling with happiness, feeling useful, or like your life has meaning? Then I would ask you, do you see the fork in the road? Are you at odds with your family? Do you feel like you don’t know your kids? Does your spouse seem distant? Then, I would direct you to the roads. Sometimes the difference between life and death, happiness and depression, optimism and pessimism lies in one thing – the path we choose. My aunt is an optimistic woman, loving and kind, open and giving. I can look at her life and be amazed. By the circumstances life handed her she had every excuse to be bitter and mean, distrustful and selfish, and entirely pessimistic. But, she chose to walk a path in direct opposition to her circumstances. Some of the family would think she was strange. But, I think she is beautiful. Has her life gotten any better or easier? No. In many ways it’s gotten harder, but has she lost her genuine smile, or stopped giving out makeup stain leaving hugs, or ceased praising her Father in Heaven? Not a chance! We often hear of forks in the road, roads to travel, and we think that is about choosing our circumstances. Life isn’t that fair. 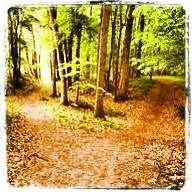 We are often left to choose within the circumstances others make for us what road we will take. Here is what you need to know – what you choose affects not only you but everyone around you. See, unlike Frost’s poem.. We aren’t traveling alone. We bring with us family and friends, and they, too, have to bear the consequences of our choice. And, the one we choose matters. If I’m in a bad mood, I must choose not to take it out on my kids And, if I do, i must choose to humble myself and ask forgiveness. If I’m not feeling well, I must choose not to become depressed. And, if I do, I must choose to forgive myself. If I am not happy, I must choose to find the source of happiness not dwell on its lack. If I am feeling useless, I must be intentional. If I feel unloved, I must make sure I am loving others, and I must remember that love is selfless. The final line of Frost’s poem has left literature majors the world over ponder, “So, was he happy with his decision?” I suppose that depends on the reader, and how we interpret our roads and our sighs. We can take away two endings – an ending with a sigh of contentment, of a path well traveled despite what forest of a life we had to walk through. Or an ending with a sigh of regret, of a path that didn’t lead where we had hoped, sitting bitter and disillusioned and alone. I’m an optimist. I choose the sigh of contentment. I choose the ending that says regardless of where exactly that path dipped and bent and whatever bridge appeared, I walked it with hope and trusted it was the best road for me… Regardless of my circumstances. Today is a new day.. And two roads diverge.. Which one will you travel? That will make all the difference.